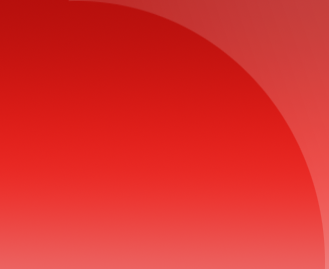 PDF is a fixed document format and also one of the Page Description Languages that describes how the elements on a page, such as text, shapes/line-art, image, etc., should be represented so that they look the same regardless of the software, hardware, or operating system they are being viewed on. In order to represent a text element on a page a font is required along with a specified character encoding standard. A character encoding standard specifies how to translate the numeric value of the characters in a text into visible characters. For instance, WinAnsi encoding standard translates the numeric decimal value 174 into ® (registered) character whereas, MacRoman encoding standard translates the same numeric decimal value 174 into Æ (AE) character. WinAnsi, MacRoman, MacExpert, Standard encoding, PDFDocEncoding, Built-in, Identity-(H/V), and CJK encoding. Note: Built-in type is not the name of the encoding but it specifies that the encoding is built into the font. A font is a collection of characters with a similar design. A typeface (also known as font family) is a set of one or more fonts each composed of glyphs (representation of a readable character) that share common design features. Each font of a typeface has a specific weight, style, condensation, width, slant, italicization, and many other characteristics. For instance, the typeface Arial may include the fonts Arial Regular, Arial Bold, Arial Italic, etc. Typefaces are developed using various outline font standards such as Type1, TrueType, etc. Type1, CFF, Multiple master, TrueType, OpenType, Type3, Type 0 CIDFont, and Type 2 CIDFont. The following table lists the possible/supported Encoding standard types for each Font standard supported in PDF. Thus, there are totally twenty six (26) Font+Encoding combinations supported in PDF. 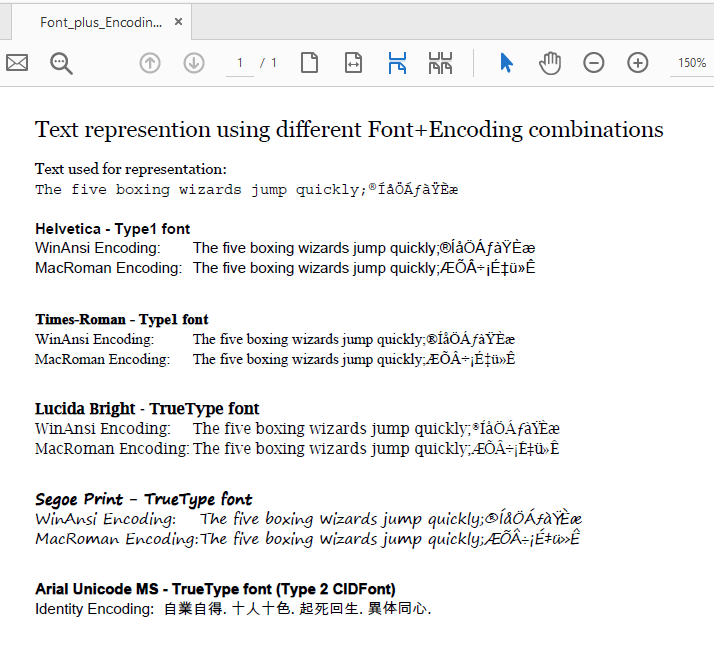 The following screenshot shows text drawn on a PDF page using different Font+Encoding combinations.